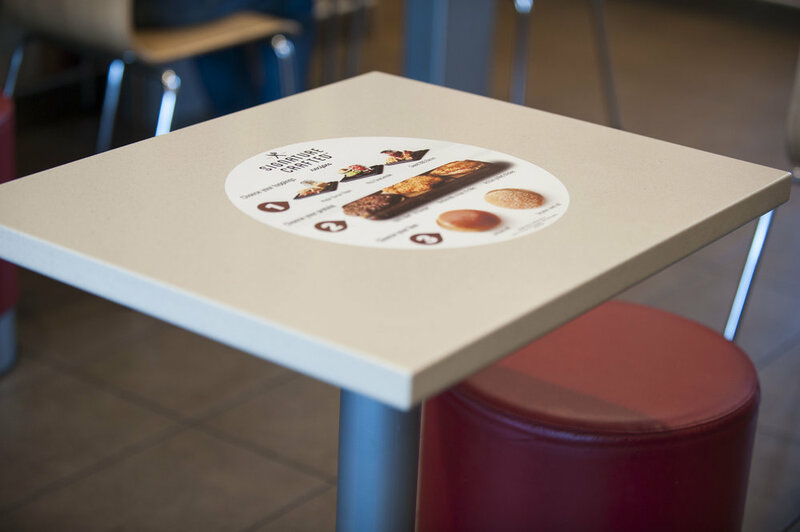 Assemble our table display designs in just a few seconds! These three-dimensional table talkers make a great item for your P.O.P. displays. Perfect for new deals or promotions for food, drinks, desserts, meal deals, new products, services, "Reserved" signs and much more. The possibilities are endless! Increase your merchandising opportunity with our table mats. These temporary decals are available in a variety of shapes and sizes depending on your needs.